Duckworth Centre | prairie architects inc.
Prairie was selected in a competition to work with the University of Winnipeg to prepare a five-year master plan for the redevelopment of the campus. One of the central issues that continued to come up with stakeholders was the closed nature of the campus. 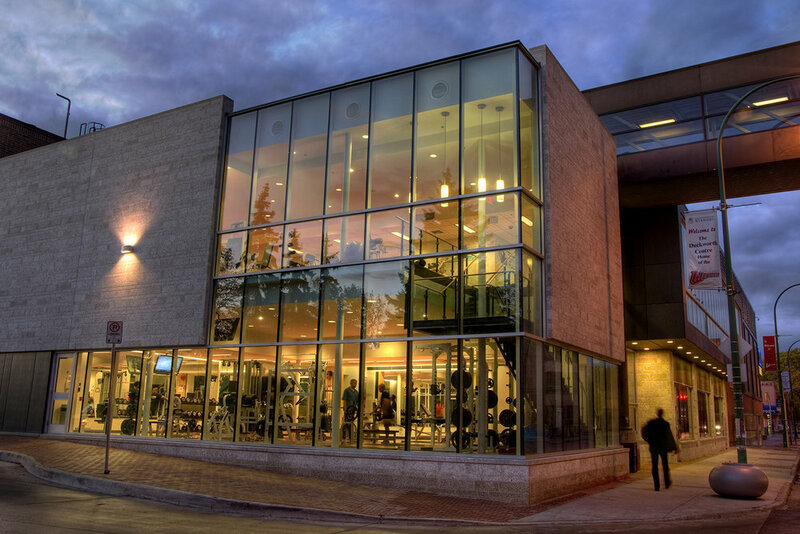 Prairie recommended as a first step a project to open up the existing Duckworth Athletic Centre. This included incorporating a two-storey addition to the building on the south and east to accommodate a series of retail shops for coffee and financial services, a large new fitness centre and a health/medical clinic. 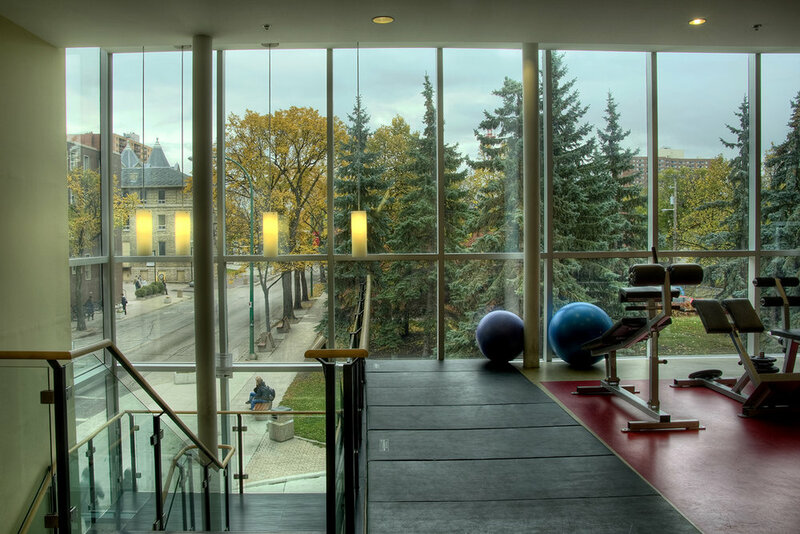 The addition was designed with large floor-to-ceiling glass walls to enable views in and out, to contribute to the urban feel of the campus and to increase safety and visibility onto the street with views in and out.